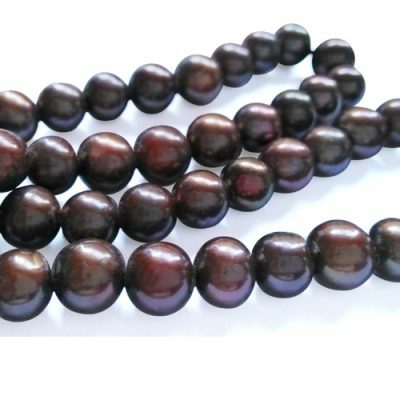 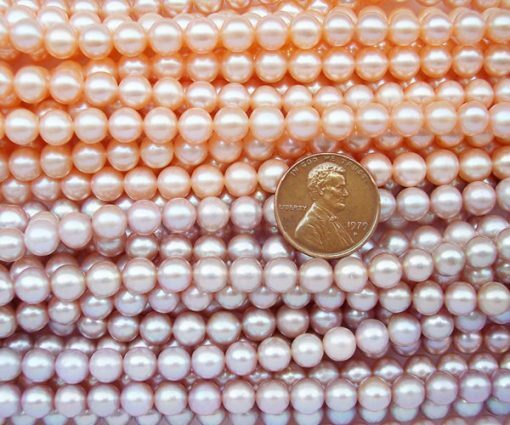 Also available is 6-7mm AA+ graded pearls(clean surface of 85% or better). These pearls have high luster and very minimal markings and flaws only upon close examination. 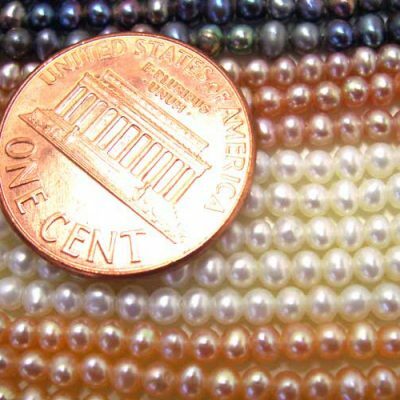 They are perfect for making your everyday jewelry. 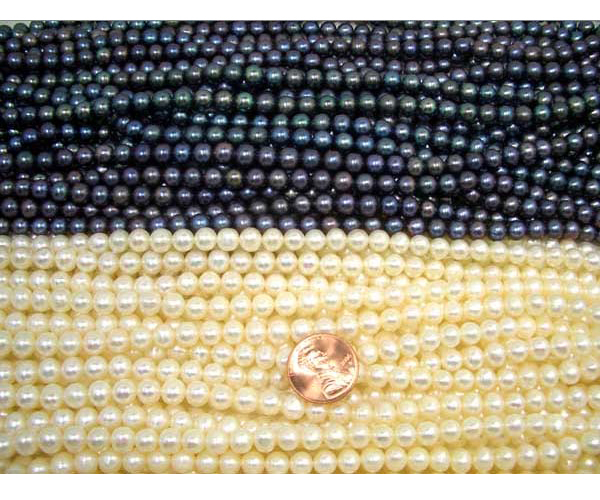 For AA+ graded pearls that the only obvious difference is its roundness. 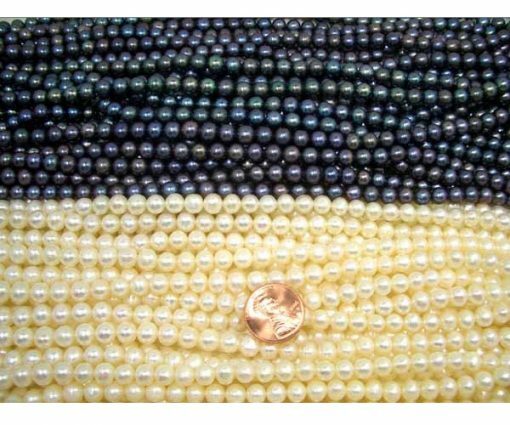 White, pink, mauve and black. 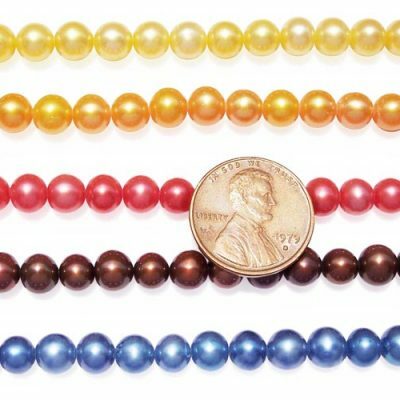 There are approximately 50-55 pearls on a strand at 15-15.5in long. 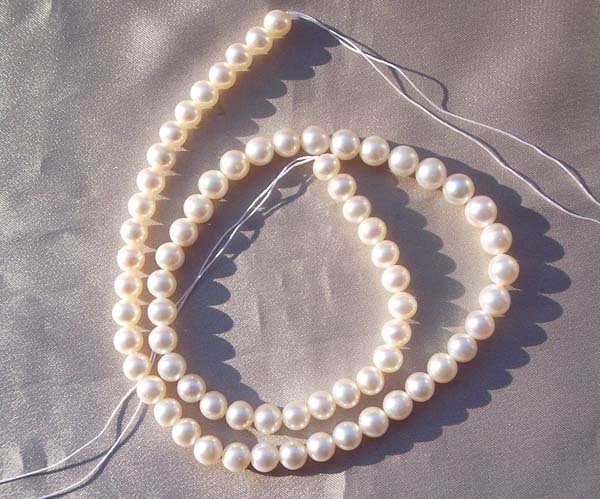 Each strand has an approximate weight of 21gram.